A total of 599 patients were included in the study cohort; 30 (5.0 %) had a prior history of VTE. 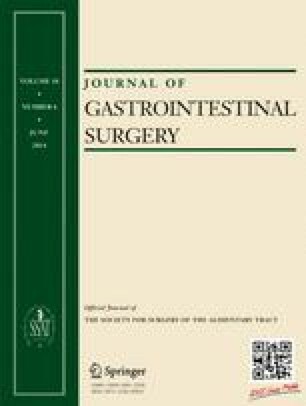 The indications for surgery were malignant (90.8 %) and benign lesions (9.2 %). The majority of patients underwent a minor hepatectomy (<3 Couinaud segments; n = 402, 67.1 %) while 195 (32.6 %) patients underwent a major hepatectomy (≥3 Couinaud segments). Three hundred seven (51.3 %) patients were started on VTE chemoprophylaxis preoperatively with 407 (67.8 %) patients receiving VTE chemoprophylaxis within 24 h of surgery. Twenty-eight (4.7 %) patients developed VTE; 20 (3.3 %) had deep venous thrombosis (DVT), 11 (1.8 %) had pulmonary embolism (PE), and three (0.5 %) developed both DVT and PE. Among the VTE patients, 23 (82.1 %) had received VTE chemoprophylaxis. On multivariate analyses, history of VTE (odds ratio [OR] 4.51, 95 % confidence interval [CI] 1.81–17.22, P = 0.03), prolonged operative time (OR 1.17 per additional hour, 95 % CI 1.04–1.32, P = 0.009), and increased length of stay (LOS) (OR 1.07, 95 % CI 1.02–1.12, P = 0.01) were independent risk factors for VTE. An erratum to this article can be found at http://dx.doi.org/10.1007/s11605-014-2471-y.